These handmade pendants are 92.5% sterling silver. Made in India, they are fairly traded. They come with a description of the pendant in a small handmade envelope, ready to give as a gift! Ganesh is the Hindu God who is the remover of obstacles and is worn for good fortune. 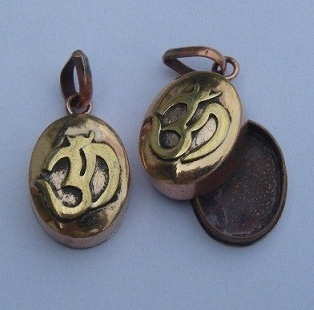 The Om symbol represents the primordial sound of the Universe, a potent symbol to wear. The "dot" is available in plain silver, lapis lazuli and amethyst crystal. Please specify what gemstone you would like in paypal comments. 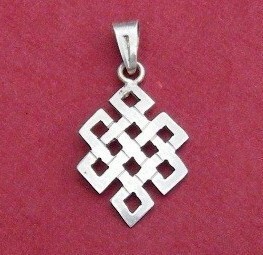 Eternal knot is a symbol of the interconnectedness of all things, that all is ONE.